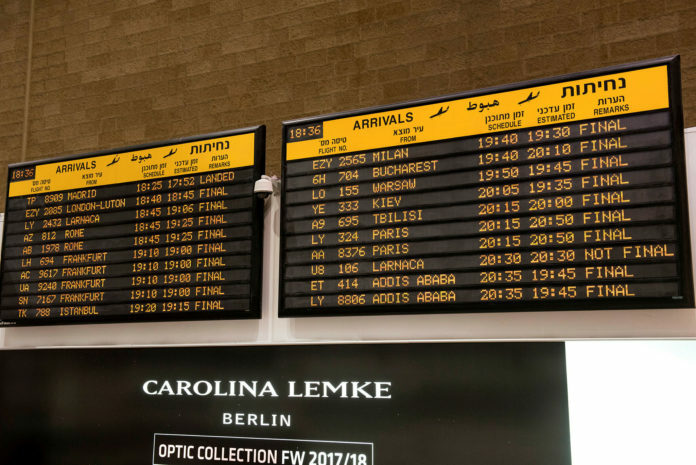 China’s Hainan Airlines announced a direct Guangzhou -Tel Aviv route Thursday, just six months after launching a Tel Aviv to Shanghai line and two years after launching a direct route to Beijing. Starting August 2, Hainan Airlines will operate three direct weekly flights, on Tuesdays, Thursdays and Fridays, bringing its total number of weekly direct flights between Israel and China to 10. Hainan now has a 63% share of the market in direct flights to and from China. 30% of its passengers are Israelis and 70% Chinese. 114.000 tourists entered Israel from China in 2017, a 41% increase compared to the previous year. A spokesman for Hainan Airlines said its entry into the Israeli market in April 2016 changed the map of incoming tourism to Israel and led to a price revolution for Israeli travelers to China and the Far East. “We thank the Minister of Tourism and his office for the important support in the process of the opening of the new route,” said Hainan Airlines-Israel CEO Wei Ran in a statement. “The opening of three lines in less than two-and-a-half years is unprecedented for our company. This is an amazing expression of confidence of the company’s headquarters to the Israeli market and the Israeli government. We do not doubt that the new line from Guangzhou will continue to boost the number of Chinese tourists in Israel and serve as another bridge to strengthen the commercial relations between China and Israel,” he said. The announcement comes despite the fact that at the beginning of this month Hainan Airlines cancelled a flight from Shanghai to Tel Aviv because of a European Organization for the Safety of Air Navigation (Eurocontrol) warning about possible air attacks over Syria. Within the framework of the agreement signed between Hainan Airlines and the Ministry of Tourism, the Chinese airline company received a grant of 750,000 Euros as an incentive to open the line. According to Tourism Minister Yariv Levin, the new direct flight will lead to further growth and new highs in incoming tourism to Israel. “The opening of the lines represents a great expression of confidence in the Israeli tourism product and further proof that the firm’s marketing efforts are producing results,” Levin said. The opening of the direct route from Tel Aviv to Guangzhou is the latest in a string of new direct routes to and from Israel since the beginning of 2018, including a historic Air India route to New Delhi that flies over Saudi airspace and a direct Latam Airlines flight to São Paulo, Brazil.